Ensure proper data collection with our web-based Billing Queue. 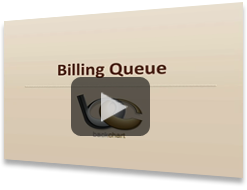 Our web-based Billing Queue helps you have better quality assurance. You are able review the doctors' work before submitting to Kareo for billing. Our focus is to help you ensure proper data collection. 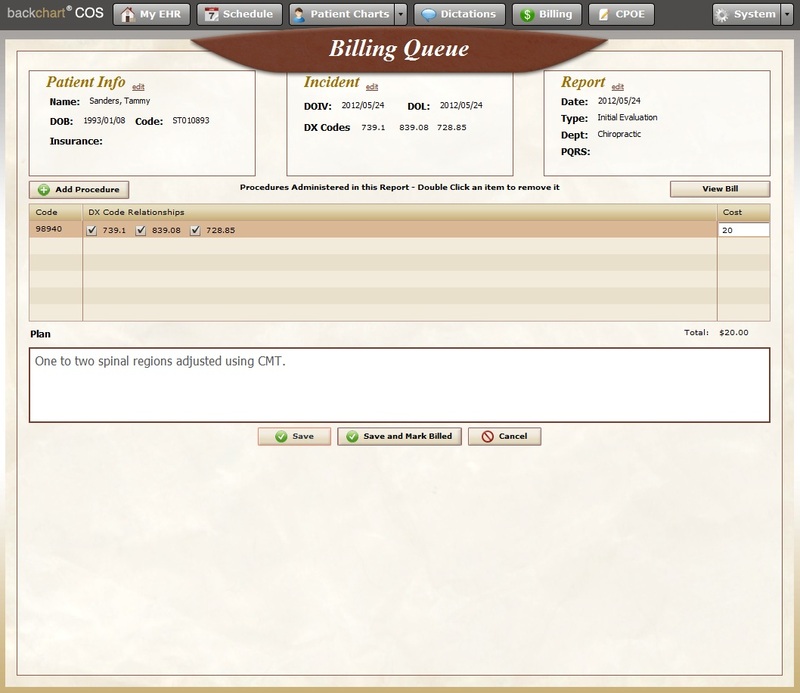 You can run a billing report that shows a list of patients and their status to be billed. You can click on the patient's billing status to add or subtract procedure codes, modify diagnostic codes, change patient demographics, and/or amend the patient report. 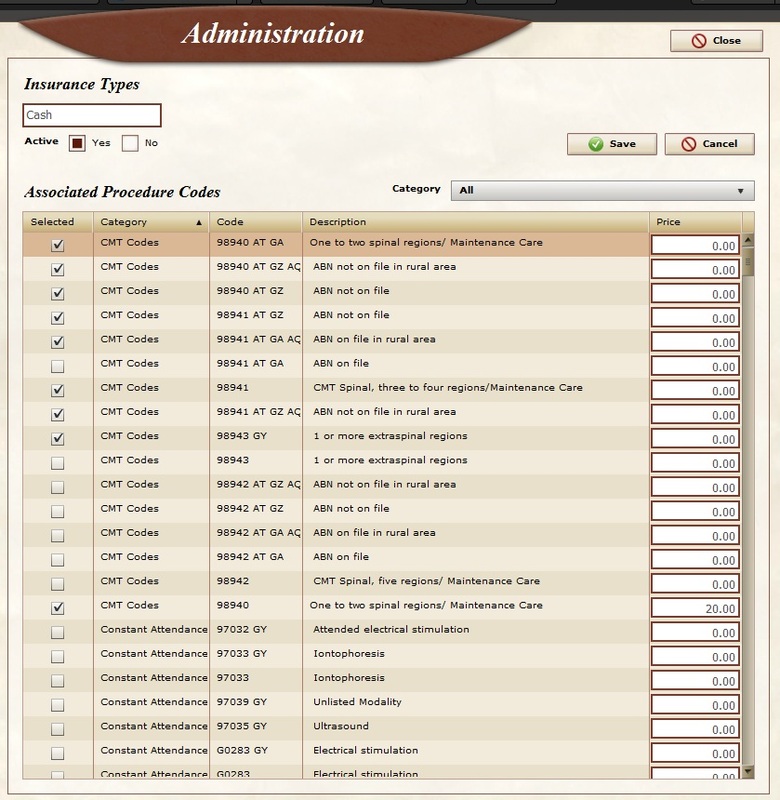 You can assign pricing to the procedure codes by creating different insurance types. Lastly, you can print the bill and mark billed to submit to Kareo. 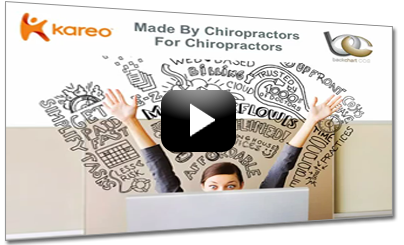 Kareo, a leading provider of web-based medical billing and practice management software, and BackChart teamed up to create an integrated EHR, practice management & billing system that allows you to seamlessly manage the clinical charting & medical billing process for your practice. You can get paid sooner while reducing claim rejections & payer denials with this integrated system. 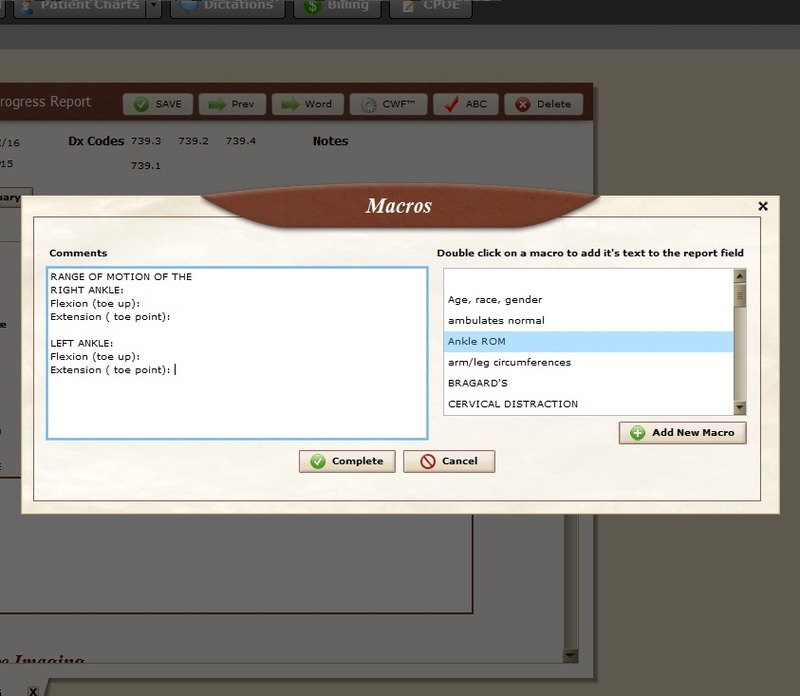 Kareo & BackChart communicate seamlessly without any duplication of information. Learn more about Kareo at www.kareo.com! 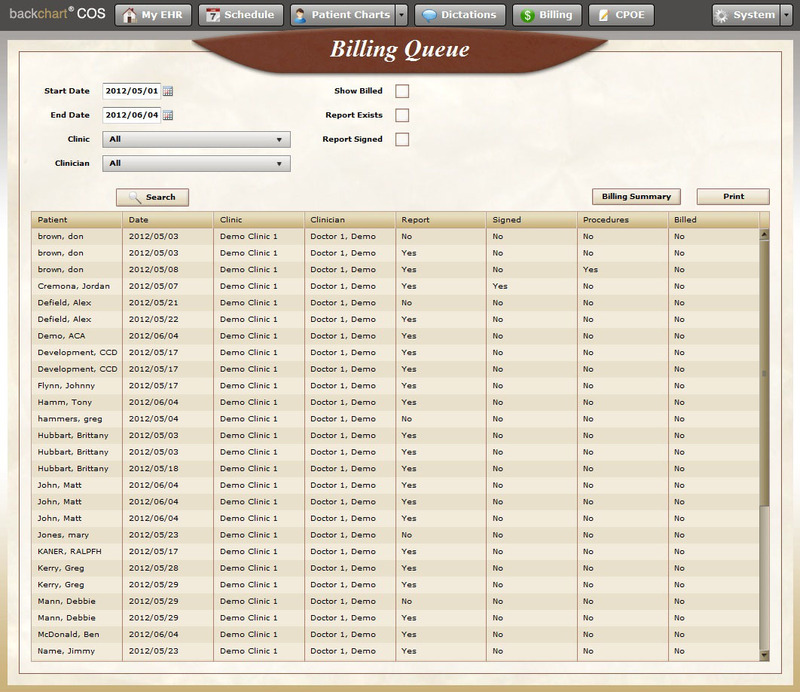 Billing Report helps you save time by pulling up a list of patients who are to be billed by a specific range of dates. See the patients' name, the clinician, the clinic, if they have procedure codes, if the report has been signed, and if they have been billed. Patient's Billing Status helps you have better quality assurance by pre-scrubbing bills before you submit them to billing. You can easily modify information including: procedure codes, diagnostic codes, patient demographics, or the patient report. The billing status provides you peace of mind by making sure you didn't over-code or under-code the patient. Creating Insurance Types & Assigning Pricing helps you organize your practice and simplify your life. You can choose what cost structures to associate with specific procedure codes. You also can also organize the codes by insurance types to save you time and effort finding codes. Print the Bill helps provide a summary of care & costs to every patient. This feature is built into the system so you can easily print the bill and provide a receipt to the patient.